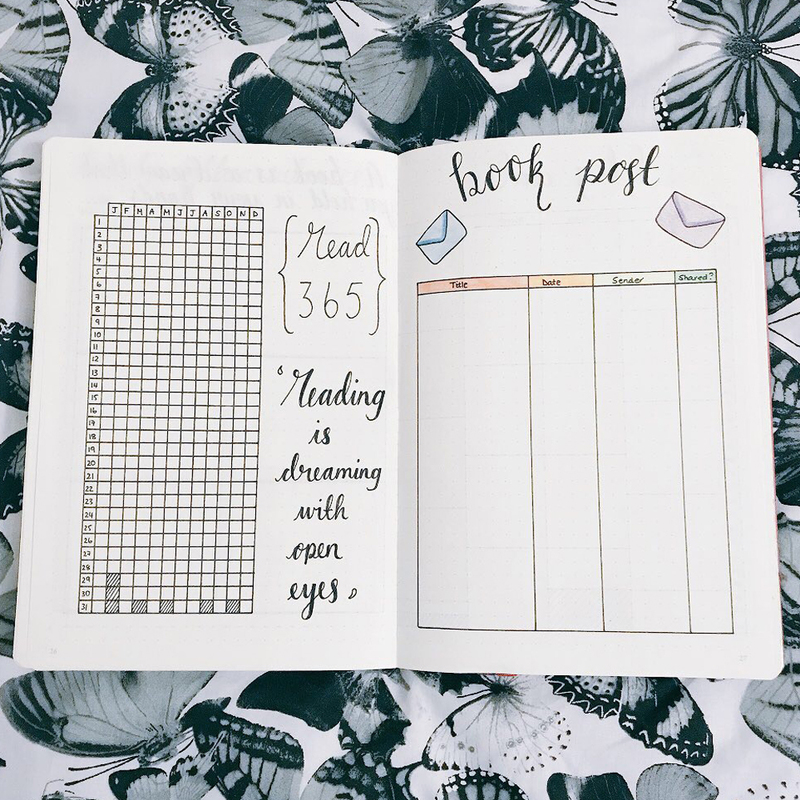 Using my Bullet Journal for Books and Blogging! Hi everyone! It’s Wednesday and time for another glimpse into my bullet journal! Today’s post is one I was intending to post a few weeks ago but decided to postpone so I could share my February set up with you all. 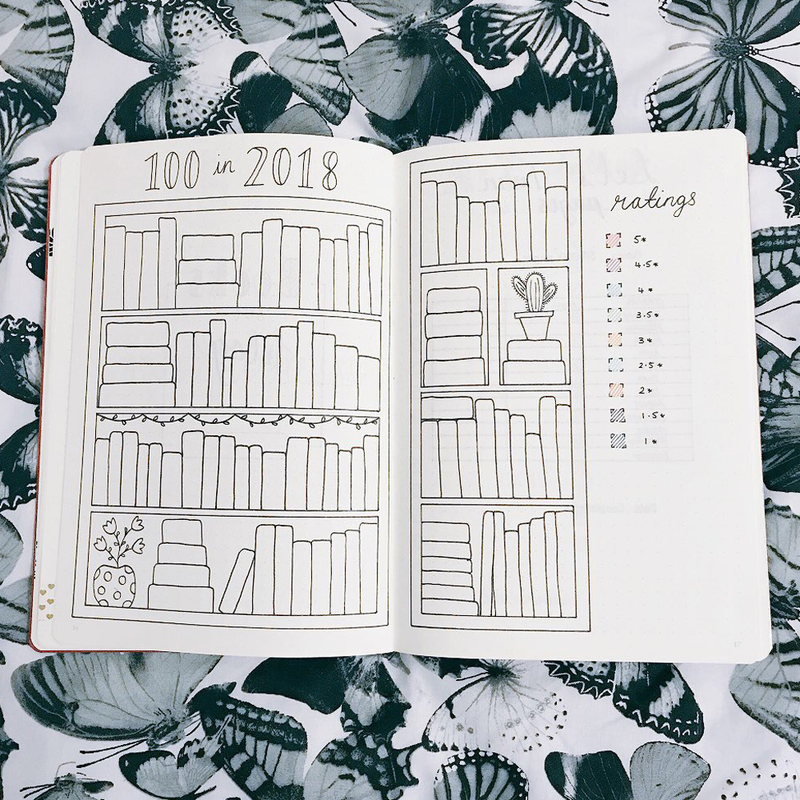 In 2018, I have a dedicated set of collections and pages to track my reading, reading challenges and my blogging bits. I decided to post these separately rather than with my 2018 set up and I’d love to hear what you think! I kept my title page for this section of my journal pretty simple with some different lettering. I think it looks pretty cute and does the job just nicely. Sometimes simplistic looks so effective and it works for me! First up is my 100 in 2018 double spread. I did this last year and loved how it looked and turned out so decided to go with my bookshelves again this year. Rather than tracking the books by month read this year I’ve decided to track them by their rating as you can see from my key on the right hand side. It will be great to see how this looks by the end of the year! I added a few little details like some flowers, a cactus and some fairy lights just to jazz up the shelves a little. The next few pages are to track some of the reading challenges I’ve set myself this year. Each has a slightly different layout and I was happy to get a chance to try out some different letterings too. My idea is to go and fill this out t the end of each month so I can see how I am getting on. 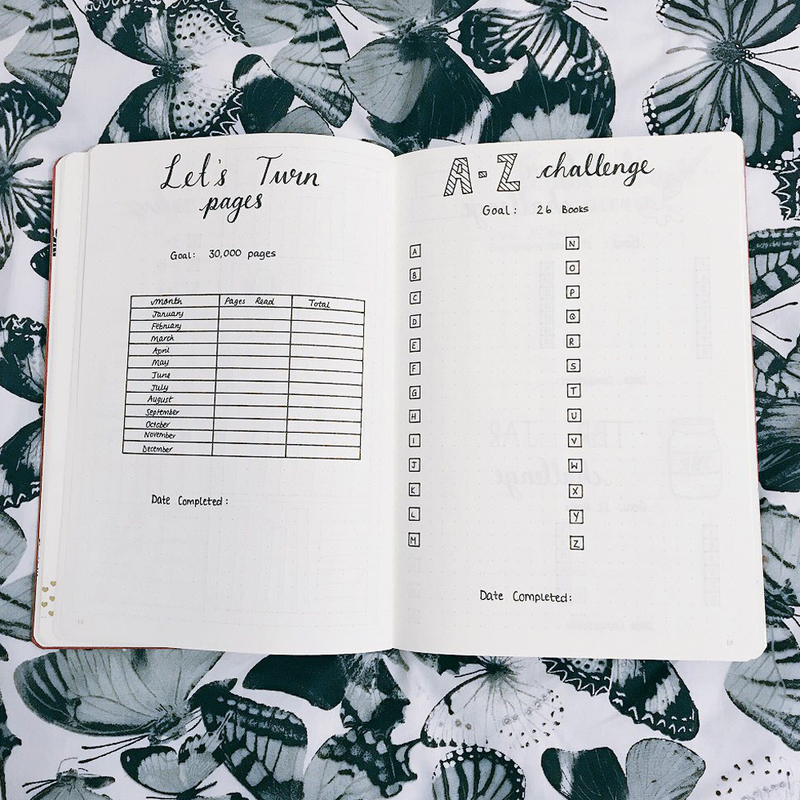 First up are my Let’s Turn Pages and A-Z Challenge pages. I think these are both self explanatory! 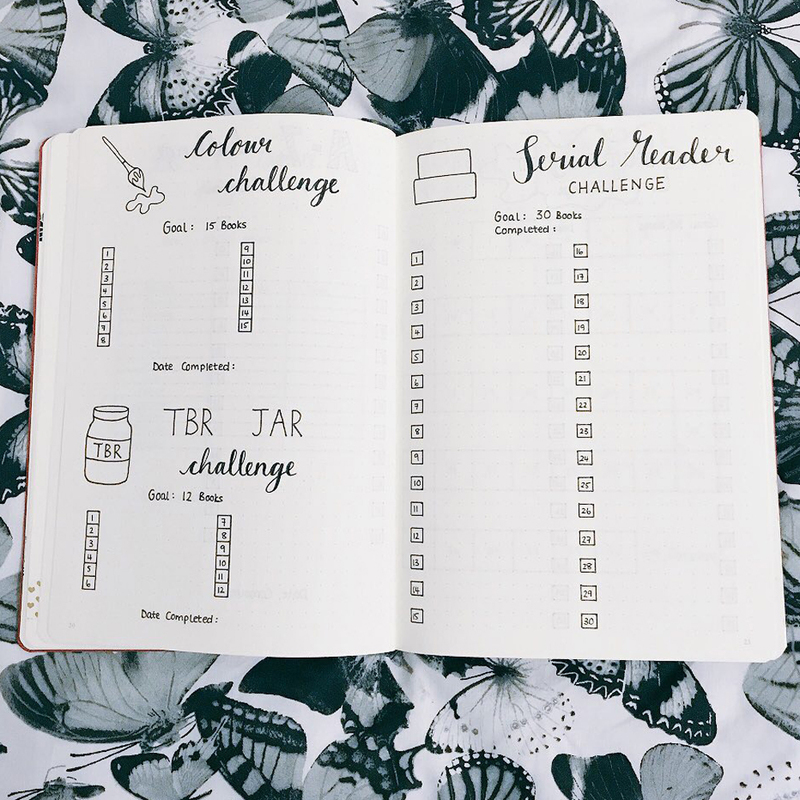 Next up are some more reading challenges: Colour Challenge, TBR Jar Challenge and Serial Reader Challenge. These are all challenges I am taking part in on a Goodreads group. 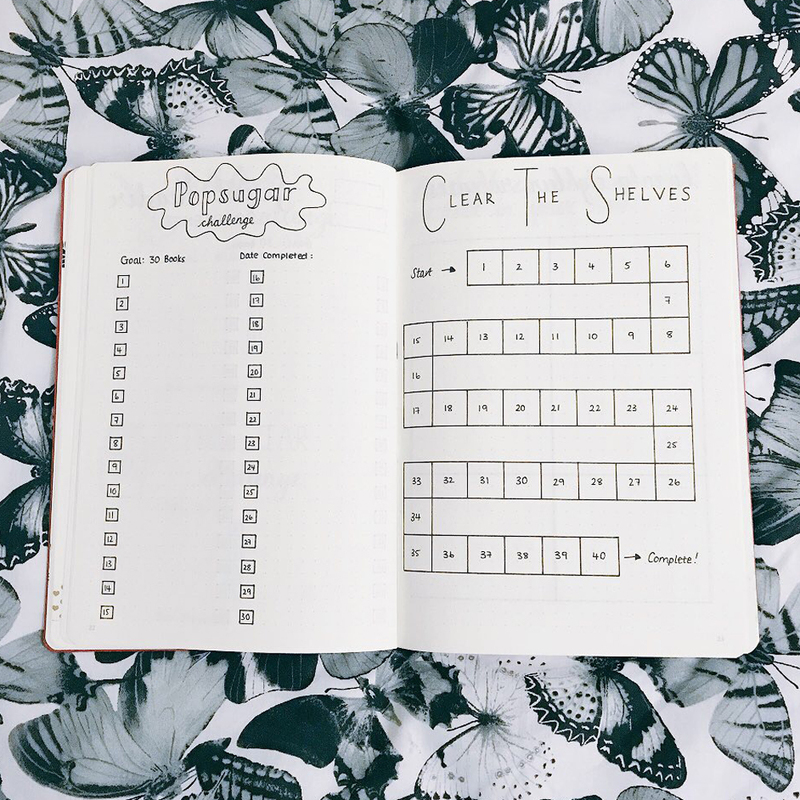 The final two reading challenges I am tracking in my journal are the Popsugar Challenge and Clear the Shelves. Both are simple layouts but I hope they will look cool when they are all filled out by the end of the year. Up next is a #Read365 tracker. This is really similar to my Life in Pixels spread but this time just to track whether or not I read that day. My lovely friend Rachel came up with this idea and being as I’m pretty sure I do read every day I thought it would be cool to track it. Complete with another bookish quote: “Reading is dreaming with open eyes.” On the right hand side is the first of what will probably be quite a few Book Post tracking pages. I am lucky enough to receive a lot of books from publishers and lovely bookish friends and so I keep track of those here as well as who sent them, when and whether or not I have shared it on social media. My Blog Dates calendex has come in SO handy already this year! One of my blogging goals for 2018 was to get myeslf more involed in blog tours and working with publishers more actively in the community online. This spread has been so helpful in allowing me to jot down dates for upcoming promised posts as well as making notes of reviews I am posting so I can see if I am meeting publication dates or not. 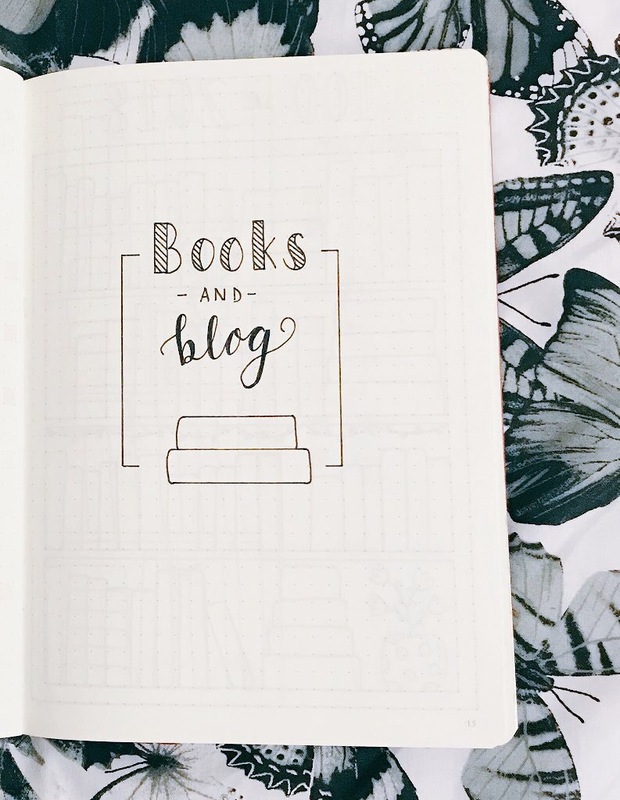 I wrote in another quote at the top of this page: “Good blogging should feel like someone writing you a letter.” I LOVED this quote when I saw it and it definitely inspires me to think about how I write my posts. The bit only half pictured is the final 4 months of 2018 in my Blog Dates spread. 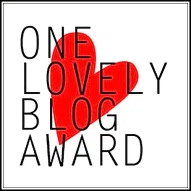 The final part of the blogging puzzle in my blog is my Blog Stats page. I am certainly not driven solely on stats but it definitely helps to look over what I am posting, how regularly and how that then effects views and subscribers. I’m filling this out at the end of each month and I think it will be cool to see how my blog grows throughout 2018. So there we have it! 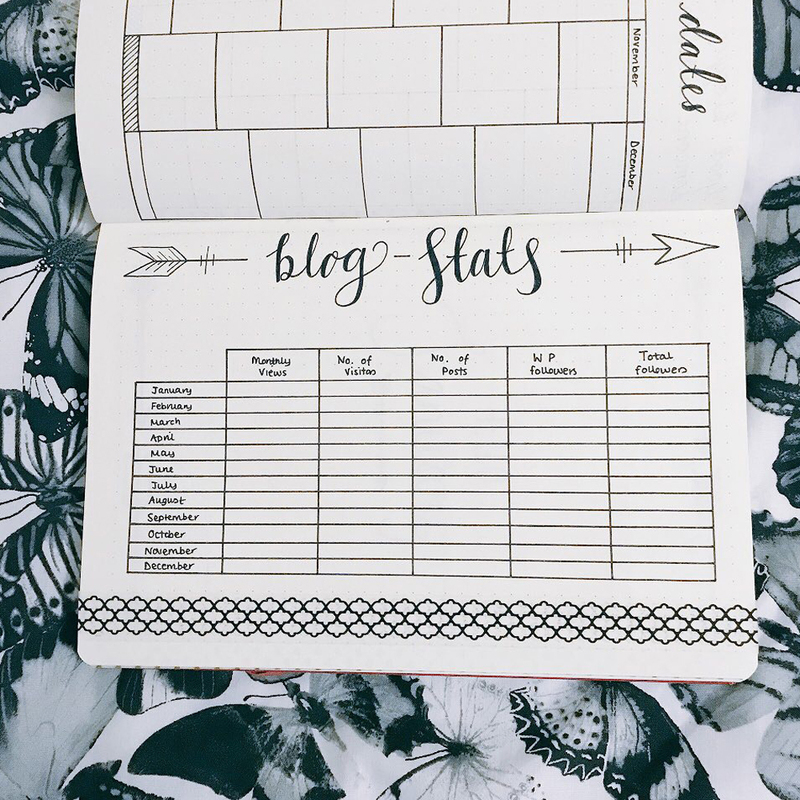 I’m using my journal more frequently this year to track reading and blogging than I did in 2017 and so far it’s been really helpful! You’ll notice I’ve started putting in a lot more quotes where I can fit them and I plan to make the challenge tracking spreads really colourful as I fill them out. It’ll be fun to look back over these midway through 2018! 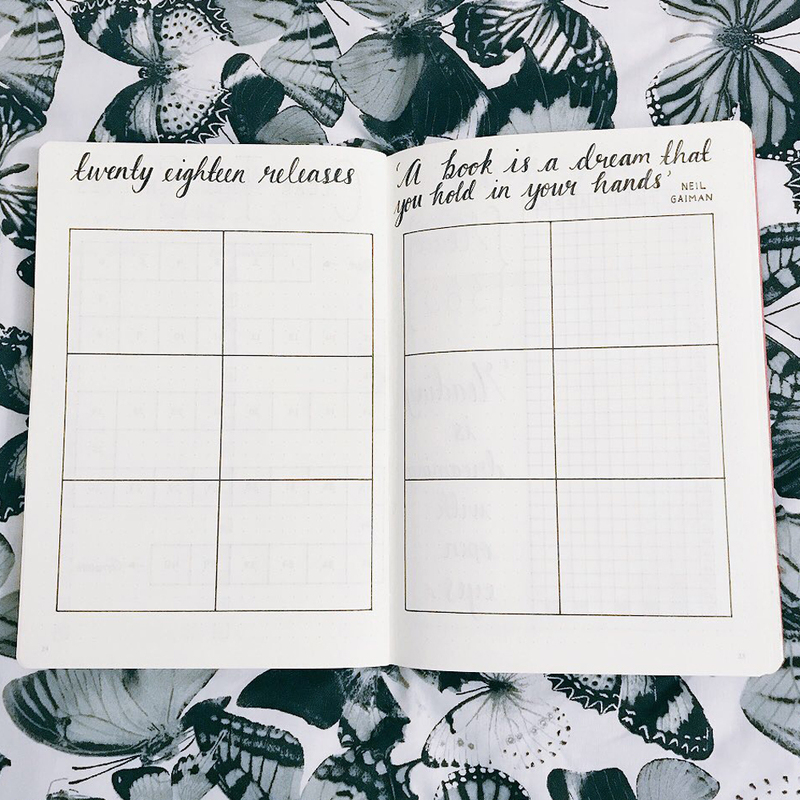 Do you use your journal to track your reading? How? 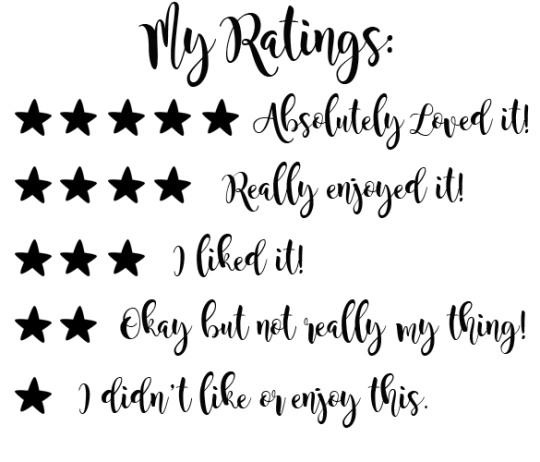 What bookish or blogging spreads do you think I am missing? 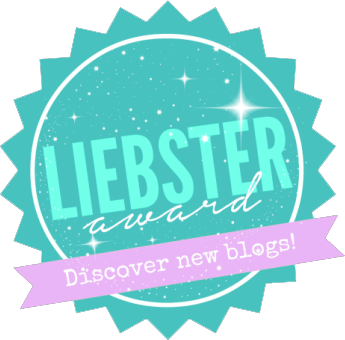 ← Hopeless Heroes Blog Tour: Author Guest Post! Wow, loved your BuJo; very neat and pretty! I love how organised, neat and pretty this looks! 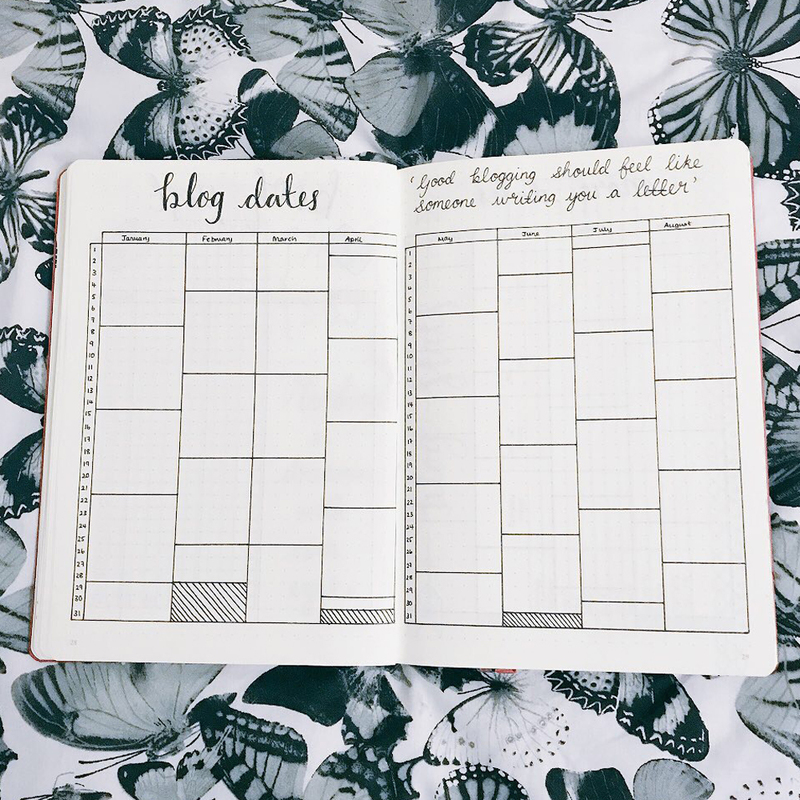 I have a bullet journal and I loved it so much, helped me relax…unfortunately I got so busy that I couldn’t keep up with it😕 Any tips on maybe getting back into it? I think maybe start off little to get back into it. Maybe start with some dailies, or if that feels too much maybe a weekly. Whenever I’ve fallen off the bandwagon a bit I tend to ease myself back in and then remember how fun and relaxing it is! Lovely journal, i like how minimalist it is, makes it look very neat! I really like how you set up your blog stats, i totally messed up on mine but you work with what you got right? So one thing i use that is literally a life saver is an ARC tracker. I write down what ARCs i have received, when they’re being published and then a check mark box for when ive completed my review of it. Really does work to stay on track of them!! Ah yes! I also have an ARC tracker but for some reason I added it after January so it wasn’t included in this post – woops! I definitely agree it is so useful plus it is satisfying to tick off the books and when I’ve reviewed them! It definitely makes me feel more accountable! These are some awesome spreads! I track my monthly reading, my blog post ideas, and my popsugar challenge in mine. I do have a few other layouts, but those are my main ones. Love this simplistic style Kelly! 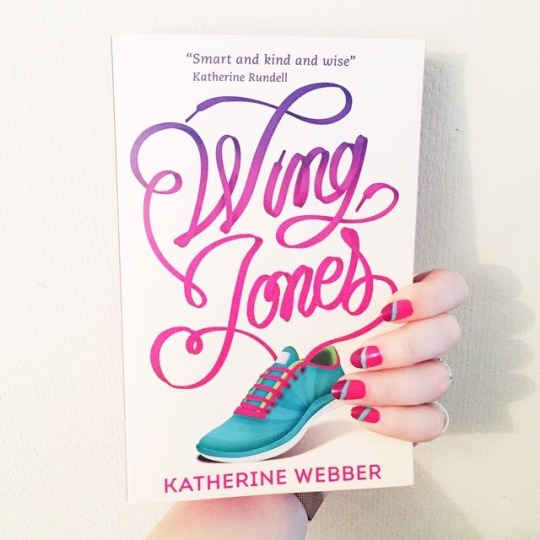 It is so pretty, I really want to join in some of your reading challenges too! I think I will do! Ah yay, I’d love to see it if you do! I love every single one of your pages! My favourite is the double spread with the bookcases, I hope you will show us when it’s finished! Your headers are stunning! Much envy, my bujo is a sprawling mess (but I love it). Awesome post! Thank you so much! The best thing about a bujo is that they are our own little babies, no matter how they look we love them!